I’m really not that worried. As it turns out, there seems to be a lot of people who agree with me. And by the way, my stockpile is mostly just for fun, (unless someone shoots at me). You should try it, you’ll like it. Naaaah. I like gun laws because they won’t sell them to people like me. Seriously. Thank you for stopping by my blog and leaving your comment. Of course, you should know, I do not agree with all that you’re stating. However, it’s not about Liberal factions that bring about disagreements. It is indeed from both sides of the table. Perhaps you haven’t been around long enough to realize, Gun control and the need to hold is a matter of thinking processes. It has nothing to do with race, equality or party affiliations. I’m not sure why this need to bash Liberalism in it’s entirety to substantiate your reasoning for gun toting has to exist. You paint a great argument yourself, and that speaks for itself. Don’t make an entire party look ridiculous because a few people from that group don’t want guns. I’m a Liberal, and I want guns. However, more needs to be done to ensure that the right people get to have them. I merely point to liberals because they are normally the ones who are proposing all of these new gun control laws and restrictions. Case in point, HR 308 in congress right now is authored by Carolyn McCarthy (D-NY). I’m sure you are aware of the Brady Campaign. They are all liberal Democrats whos main thrust is the outright ban of guns. To that end, they have a list of gun control laws they want to see enacted. You won’t find many Republicans behind gun control laws. I applaud you for taking the stance you have. However, many liberals will say that they aren’t opposed to guns in general knowing that it is a constitutional issue and they will get a huge push back if they say otherwise. So their answer is to impose more gun control laws and restrictions because the way they see it, it’s for our own good. I do agree that we need to do better at keeping guns out the hands of people the likes of Jared Loughner. But unless someone has demonstrated verifiable mental impairement, how do you find that person without violating their civil rights? We just need to be careful how we impose these controls. Afterall, no law has ever reduced gun crimes. You gun people don’t get do you? You dont need the protection of guns anymore. President Obama, I believe is the messiah and he will protect us all. Guns are no longer needed. Follow the son of our Heavenly Father and you will see a wonderful America..god bless lord Obama. Personally, I dislike the term “Second Amendment rights,” because it sounds as if the right to keep and bear arms was granted by the Constitution. 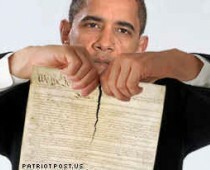 If a right is granted by the government, then that same government can revoke the right at any time. In that case, it would be a privilege, not a right. 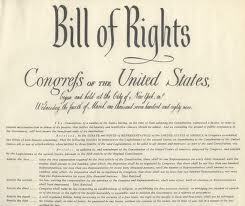 The Bill of Rights does not grant rights to the people. It officially acknowledges the rights that the people already had. Rights to which you would be morally entitled even if the Constitution had never been ratified. Re: the matter of “bashing liberalism,” and “party affiliations,” most anti-gun activists are bleeding heart liberals who blame crime on everything except criminals. They use “the availability of guns” as a scapegoat. They also want a nanny state where the government controls everyone and everything, because they think you’re too stupid to live your own life and make your own decisions. They think the world needs to be run by an elite cabal of intellectuals (the kind of people who can see Emperor Obama’s new clothes). It is not a coincidence that most anti-gun crusaders are the kind of people who are against the concept of personal responsibility.